A vertical Creandum is sincerely passionate about are startups targeting SMEs as customers. SMEs are the backbone of the economy 💪 and despite operating across different industries, SME startups face similar challenges in areas like customer acquisition, onboarding, and product development. 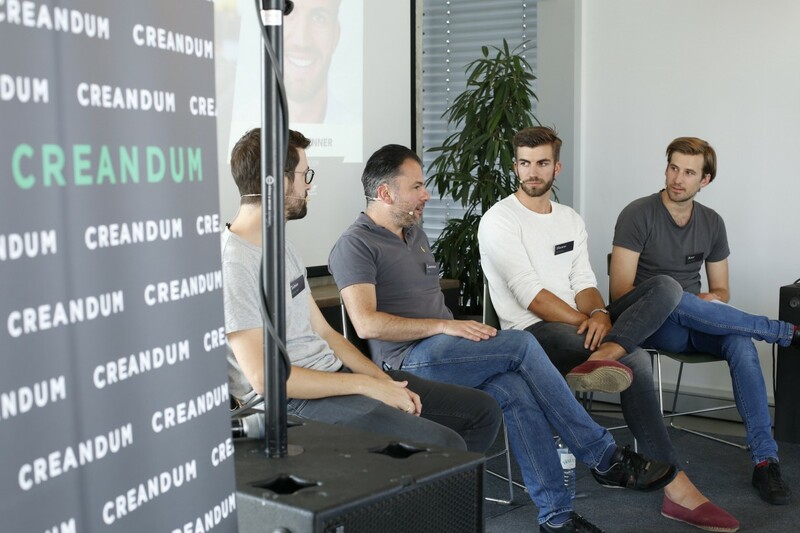 To improve knowledge and the Creandum family & friends, we hosted an SME Day for entrepreneurs to discuss best practices among founders & execs in this space. Big thanks to the amazing crowd and speakers and our sponsor (AWS). It was a fantastic day and honor to have you all in Berlin. There’s no “set” best practice on customer acquisition and segmentation. Especially on the topic lead generation, each company had a different strategy: while one actually sourced up to 80% of their clients from the large userbase coming from its freemium users, another focused heavily on social media marketing. Targeting SMEs over social media marketing does not automatically mean to turn to LinkedIn ads; some business owners are easier targetable over Facebook or Instagram. If you get a lead inbound speed is key, a rule of thumb was to get back to the lead within 7 minutes (e.g. calling them) — really catching them in the moment showed considerably better conversion. When approaching high level people (e.g. via cold mail or letter) in already larger organisations a take away was to ask for the right thing (e.g. who’s responsible, who’s the right person to talk to, intro etc.) instead of trying to have a standardized sales pitch directly to him, that he’s unlikely to spend time on (while for a 1 min forward or intro he might). On the customer segmentation side, everyone agreed that enriching the lead data is key — to the extent that you should be getting engineers to work in the sales team. And to reinforce that idea, have the engineers on your sales teams payroll and reporting to Sales/Biz dev to ensure clear responsibilities. Additionally, the importance of a lead qualifying program with several, clearly defined variables was stressed — to make it easier to hand quality over to the sales team. First and foremost, it is vital to continue being consumer centric — and if that goes against the business scalability, so be it. After lunch on the sunny terrace, we dove into product development with three Founders. First learning: in order to involve the customer in the product development, it might be worth it to step into their shoes and become the customer yourself. Before launching Zeitgold, Stefan interned a month in a café, to deeply understand the customer needs. Tricks from B2C also work: A lot of AB testing will generate customer insights by involving clients passively in product development. All emphasized to really listen to customers and also spend time even as C-level to do so. Customer complaints provide key insights for product improvement on a regular basis. On automation: In general, maximize automation, more is better — but only as long as it does not interfere with the customer experience. Everyone stressed there are no compromises on that. To ensure good experience, a common practice is to automatically transfer the interaction to a human agent as soon as a certain risk threshold of impairing the CX is reached. 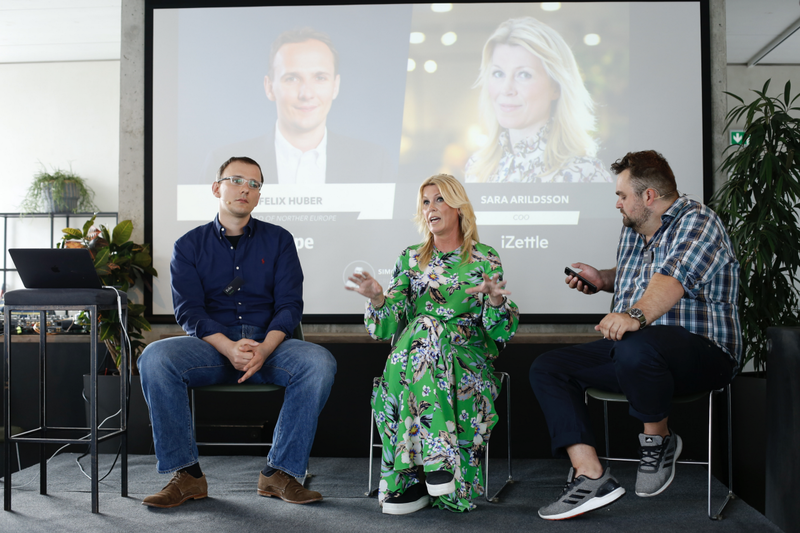 As an interesting side note: Given the huge success of Zendesk, we asked when in the journey he felt success as a founder and Morten outlined that until the IPO the feeling never arose and it felt more like constantly firefighting small problems. The realization of success only came at IPO. Two more $bn companies on stage shared some tips on internationalization with the crowd. Here Sara had the perspective of HQ, while Felix could share some insights from the view of a regional manager. The takeaway here was that giving management autonomy in their markets and establishing a constant communication with headquarters is key. Alignment to the corporate culture can be achieved by having the new-hires’ onboarding in the head office, to make sure that new employees share the same values, even though coming from different locations and work environments. Nonetheless, autonomy does not just mean a wild laissez-faire philosophy. Ensure high hiring standards, make market share targets clear and concrete, and a budgeted go-to-market strategy to make certain that the company does not lose control. The constant and transparent communication on the other side is achieved by making sure there are meeting notes for every single meeting, and email lists that everyone can subscribe to independently of rank. Lastly, it should be kept in mind from the beginning of a startup to design the core product and product infrastructure in a way that it can be exported to other countries easily — but also so that it keeps being adjustable to local needs. A way of tackling organizational structure is having cross-functional, mission-based teams, since they optimally lever knowledge of different departments. This is also a key to create a scalable product, as it eliminates any bottlenecks between the departments. Nonetheless, operating in the SME space is fundamentally different to having a few enterprise contracts with high ACV: you need to look for sales structures that support large volumes of customers instead of creating one that revolves around key account managers. You should also think about the right time, when to hire C-levels. In the beginning you often don’t need e.g. a COO, and can hire team first until you get more high level people in later. Once again, big thanks to our sponsor Amazon AWS, photograph Gisela Gürtler, and our event & office manager Patrick, Greg, and intern Tomás for helping to make this day a success! We’r passionate about the space and our Creandum SME family ( iZettle, Billie, Pleo, Comtravo, Bokio, Tide, Tictail, Planday, Syft). If you are building a startup targeting SMEs, reach out — I’d love to hear more.